Is VidCon the Golden Globes for new media? It sure seems to be and so much more. If you are an outsider of the new media and you are out of their demographics, VidCon does not ring any bell for you. Nevertheless, for video content creators (YouTubers, Snapchaters, Viners, etc) this thing is huge and growing at a fast pace. 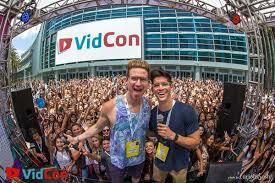 VidCon is a conference of social media creators that just took place in Anaheim, California. It is a very serious, although not at all solemn, teenagers’ conference. Video creators and their fans just met for three days in a huge convention center for the 7th year in a row. Most of them post on YouTube, Snapchat, Vine, Beam, etc and continuously praise the platforms as being life changing. I would call them game changing. 1. There are various types of YouTubers and they organize by their guild: pranksters, beauty gurus, gamers, tech savvies, family and children, DIY, music performers, interior designers, vloggers, food, comic, travelers, LGBTs, to name a few. These guilds share a community of fans, rules, threads, a lingo and leaders. 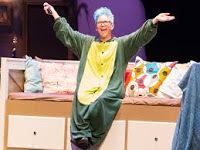 To entertain the community they organise meet-ups with fans, they do “colab” videos and they go to gatherings such as VidCon to meet in person. 2. All creators want is to branch out into different businesses or other creative endeavors, so that they can better monetize their stardom. This is why the usual route for a video creator is to grow a steady community of followers and then develop a business (or several businesses), write a book, start an online course, produce or star in movies, go into mainstream media, etc. 3. There are a few of “industry” rules. One would be that video creators don’t copy each other, they are “inspired” by each other. They look rather ordinary and that makes them extraordinary. This point might come across as sarcastic, but it is not. 90% of the social media famous video creators would not stand the slightest chance to make it in traditional media because they are either too common, not too fit or not too good looking, not smart or educated enough, not networked enough or not appropriate enough. On the other hand, in this youth led community, the more you are not like in the mainstream media, the better chances you stand at getting liked and followed. This is simply because these kids are relate-able, they are open about their problems and struggles and are willing to take all the “hateful” comments so as to create a community around them. 4. Their discussions are simple yet profound. While watching VidCon I never heard hard talk or professional discussions, neither questioning of the establishment, but rather a sort of positivist existentialist talk about discrimination, struggling and growing up, hard work and being consistent, creativity and self expression. The atmosphere/vibe was enthusiastic, playful, energetic. Isn’t that great? 5. Blue hair was in fashion at this year’s VidCon. So watch out for your teenage relative hair! 6. Video creating on social media is hard work. Most of them might have not finished high school yet, but they sure know about cameras, lenses, lights, exposure, about video editing, about flying drones, SEO optimization, demographics, copyright and reading traffic stats. And this is on top of their ascribed turf which they have to master so as to be convincing. Tough job for a teenager, right? The reason I am writing this post is to give you a glimpse in a world you might have not yet dived in, but your child, little brother, nephew or neighbor could be totally into. This gathering also fights the common understanding that the young generation is growing disconnected because of the development of the Internet, and their lack of real life social connections. From what I have witnessed, they all cherish the communities they’ve nurtured through the Internet. All in all, we have to stay in touch with the game changers so as to prepare for what is to come, right? Let me know if you found this interesting. I might follow this up with a comparison between media and social media.